The Toronto Maple Leafs approach training camp with one of their deepest rosters in years — but no team captain. That fact likely will not change anytime soon, Toronto general manager Kyle Dubas told TSN on Wednesday. The Maple Leafs have not had a team captain since trading Dion Phaneuf to the Ottawa Senators on Feb. 9, 2016, and they are unlikely to name one before the start of this season. "Not from the outset, I think," Dubas told the network. "It's a very important honour to be the captain of the Toronto Maple Leafs or any team that has a strong history." If and when Dubas changes his mind, he has several strong candidates from which to select. 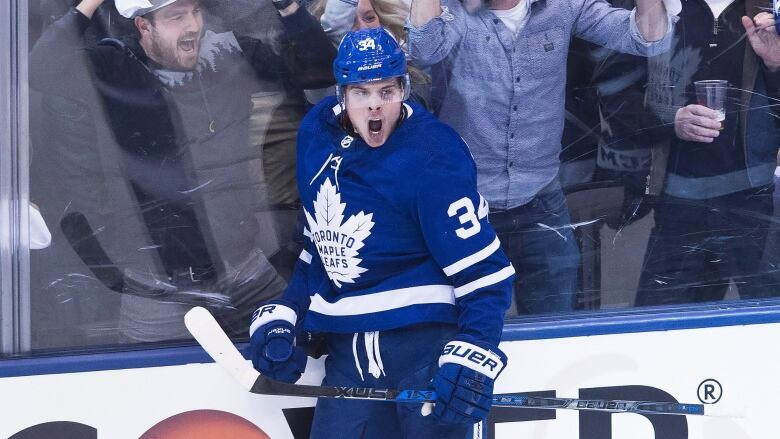 Centre Auston Matthews has emerged as a superstar after only two NHL seasons. He is 20 years old but has gained the respect of players across the league by recording 132 points (74 goals, 58 assists) in his first 144 games. The California native was the No. 1 overall pick in 2016. Meanwhile, centre John Tavares is a natural leader who signed with the Maple Leafs after spending his first nine seasons with the New York Islanders. The 27-year-old tallied 621 points (272 goals, 349 assists) in 669 games. He grew up in Ontario and figures to be a quick fan favourite in Toronto. Others in play include veterans Patrick Marleau, a 38-year-old with 1,575 career games on his resume, and blue-liner Ron Hainsey, a 37-year-old who is 13 contests shy of the 1,000-game milestone. "The way I look at it is, I want to get into it day to day with these people and see who's best suited to handle that if we do determine that we need somebody to handle that," Dubas said. "If we feel we have a void in leadership because we don't have a formal captain, then it's something that I think we can address. But I do think we have excellent leadership in the room. ... It's a very important decision and not one that I think can be rushed whatsoever."